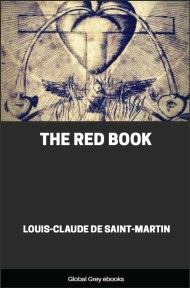 Taken from the Preface: "Man has a spark of the Light and Spirit of God, as a supernatural gift of God given into the birth of his Soul to bring forth by degrees a new birth of that life which was lost in Paradise. This holy spark of the Divine Nature within him has a natural, strong, and almost infinite tendency or reaching after that eternal Light and Spirit of God, from whence it came forth. 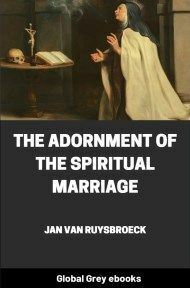 It came forth from God, it came out of God, it partaketh of the Divine Nature, and therefore it is always in a state of tendency and return to God. All this is called the breathing, the moving, the quickening of the Holy Spirit within us, which are so many operations of this spark of life tending towards God." 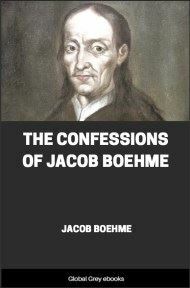 The Works of Jacob Behmen, the "Teutonic Theosopher," translated into English, were first printed in England in the seventeenth century, between 1644 and 1662. In the following century a complete edition in four large volumes was produced by some of the disciples of William Law. This edition, completed in the year 1781, was compiled in part from the older English edition, and in part from later fragmentary translations by Law and others. It is not easily accessible to the general reader, and, moreover, the greater part of Behmen's Works could not be recommended save to those who had the time and power to plunge into that deep sea in search of the many noble pearls which it contains. Behmen's language and way of thought are remote and strange, and in reading his thought one has often to pass it through a process of intellectual translation. 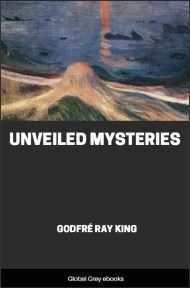 This is chiefly true of his earlier work, the "Aurora" or "Morning Redness." But among those works which he wrote during the last five years of his life there are some written in a thought-language less difficult to be understood, yet containing the essential teaching of this humble Master of Divine Science. From these I have selected some which may, in a small volume, be useful. 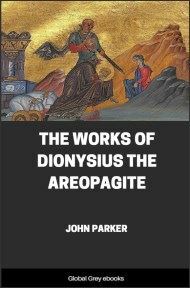 It seemed that for this purpose it would be best to take the "Dialogues of the Supersensual Life," including as one of them the beautiful, really separate, Dialogue, called in the Complete Works, "The way from darkness to true illumination." In the case of neither of these works is the translation used that of the seventeenth century. The first three dialogues are a translation made by William Law, one of the greatest masters of the English language, and found in MS. after his death. This translation from the original German is not exactly literal, but rather a liberal version, or paraphrase, the thought of Behmen being expanded and elucidated, though in nowise departed from. The dialogue called "The way from darkness to true illumination" was taken by the eighteenth century editors from a book containing translations of certain smaller treatises of Behmen then lately printed at Bristol and made, as they say, "in a style better adapted to the taste and more accommodated to the apprehension of modern readers." I do not know who was the translator, but the work seems to be excellently well done. 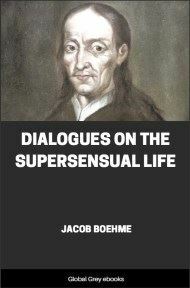 It will be well to say a few words first as to the life, then as to the leading ideas of Jacob Behmen. This name is more correctly written Jacob Bœhme, but I prefer to retain the more easily pronounced spelling of Behmen, adopted by the Editors of both the complete English editions. Jacob Behmen's outward life was simplicity itself. He was born in the year 1575 at Alt Seidenberg, a village among pastoral hills, near Görlitz in Lusatia, a son of poor peasants. As a boy he watched the herds in the fields, and was then apprenticed to a shoemaker, being not enough robust for rural work. One day, when the master and his wife were out, and he was alone in the house, a stranger entered the shop and asked for a pair of shoes. Jacob had no authority to conclude a bargain and asked a high price for the shoes in the hope that the stranger would not buy. But the man paid the price, and when he had gone out into the street, called out "Jacob, come forth." Jacob obeyed the call, and now the stranger looked at him with a kindly, earnest, deep, soul-piercing gaze, and said, "Jacob, thou art as yet but little, but the time will come when thou shalt be great, and become another man, and the world shall marvel at thee. Therefore be pious, fear God, and reverence his Word; especially read diligently the Holy Scriptures, where thou hast comfort and instruction; for thou must endure much misery and poverty, and suffer persecution. But be courageous and persevere, for God loves, and is gracious unto thee." So saying, the stranger clasped his hand, and disappeared. After this Jacob became even more pensive and serious, and would admonish the other journeymen on the work-bench when they spoke lightly of sacred things. His master disliked this and dismissed him, saying that he would have no "house-prophet" to bring trouble into his house. Thus Jacob was forced to go forth into the world as a travelling journeyman, and, as he wandered about in that time of fierce religious discord, the world appeared to him to be a "Babel." He was himself afflicted by troubles and doubts, but clave to prayer and to Scripture, and especially to the words in Luke xi. ; "How much more shall your heavenly Father give the Holy Spirit to them that ask him." And once, when he was again engaged for a time by a master, he was lifted into a state of blessed peace, a Sabbath of the Soul, that lasted for seven days, during which he was, as it were, inwardly surrounded by a Divine Light. "The triumph that was then in my soul I can neither tell nor describe. I can only liken it to a resurrection from the dead." Jacob returned in 1594 to Görlitz, became a master shoemaker in 1599, married a tradesman's daughter, and had four children. In the year 1600 "sitting one day in his room, his eye fell upon a burnished pewter dish which reflected the sunshine with such marvellous splendour that he fell into a deep inward ecstasy and it seemed to him as if he could now look into the principles and deepest foundations of things. He believed that it was only a fancy, and in order to banish it from his mind he went out upon the green. But here he remarked that he gazed into the very heart of things; the very herbs and grass, and that Nature harmonised with what he had inwardly seen. He said nothing about this to any one, but praised and thanked God in silence. He continued in the honest practice of his craft, was attentive to his domestic affairs, and was on terms of goodwill with all men." 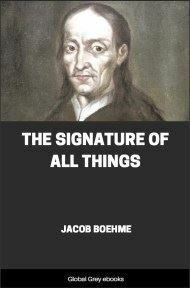 At the age of thirty-five, in the year 1610, Jacob Behmen suddenly perceived that all which he had seen in a fragmentary way was forming itself into a coherent whole, and felt a "fire-like" impulse, a yearning to write it down, as a "Memorial," not for publication, but lest he should forget it himself. He wrote it early in the morning before work, and late in the evening after work. This was his "Morning Redness" or "Aurora."